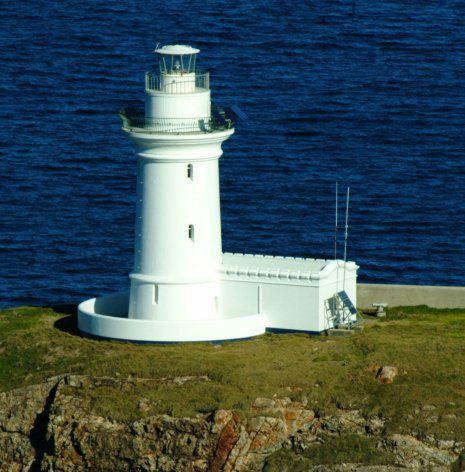 South Solitary Island Lighthouse | Lighthouses of Australia Inc. This lighthouse was considered the most isolated on the New South Wales coast. 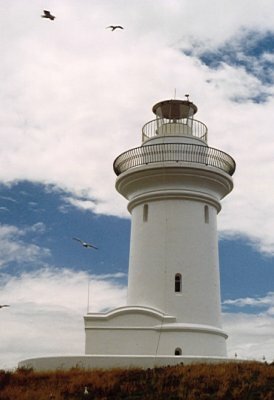 It was the first and the last New South Wales lighthouse to use kerosene. As early as 1856 it had been suggested that a lighthouse be established on either North of South Solitary Islands, near Coffs Harbour. When asked, ships masters favoured South Solitary over North Solitary for the location of a light by 3 to 1. 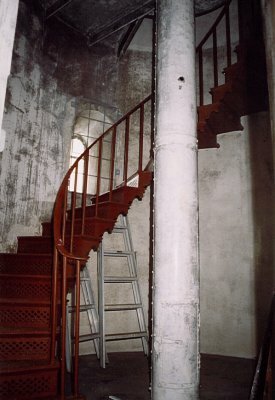 South Solitary Lighthouse was designed by James Barnet and first exhibited in 1880. The tower was built of mass concrete using cement and sand conveyed to the island and broken stone from the conglomerate rock of the island. Three large stone cottages were erected for the keepers. Owing to the exposed positions they are surrounded by high stone walls. A wall also runs from the cottages to the lighthouse. One construction worker was drowned when fishing off rocks. He could be seen for a long time as the tide carried him out but there was no way to reach and save him. The South Solitary Lighthouse appears to be the first in New South Wales to use kerosene instead of colza oil. The mechanism was so satisfactory that it was not converted to automatic electric until 1975. 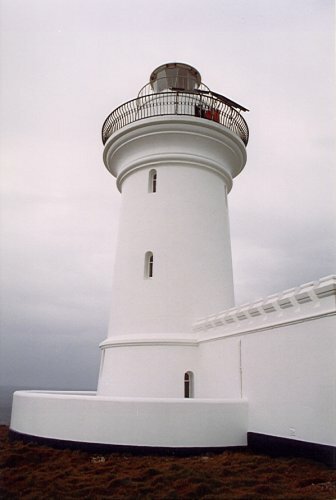 Therefore the South Solitary Lighthouse was also the last kerosene operated light in New South Wales. It was then demanned. It seems that in the early days of the light stores and domestic supplies arrived by steamer from Sydney every fortnight (weather permitting. 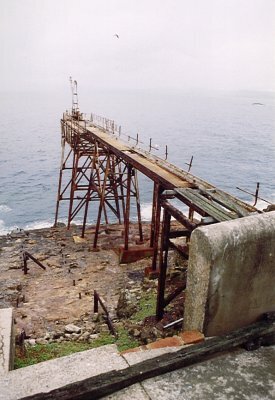 Later South Solitary was supplied regularly (weather permitting), usually weekly or fortnightly, by launch from Coffs Harbour. 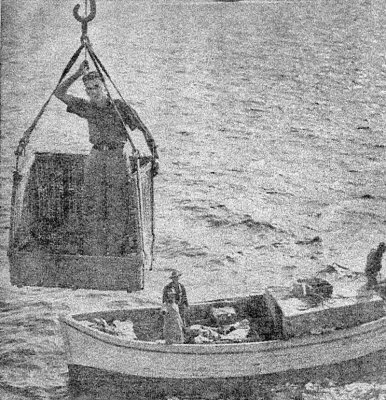 Because of the precipitous slopes of the island, supplies and humans had to be taken off the launch in a basket lowered by a crane from the landing stage. 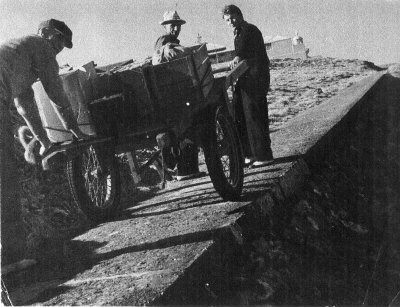 The drums of kerosene had to be unloaded and then hauled up the steep concrete path as with the other stores. Until the 1950’s there was no electricity, the light and the living quarters being lit by kerosene, and coal was used for household cooking and heating. Pedal radio established in 1937 so the the keepers could communicate with Norah Head. This was later replaced by a Bendix radio which relieved the need for pedalling. Previously the only communication with the mainland was by signalling lamp or heliograph. There is a little school house, a room, near the headkeeper’s residence on the island. In the early days a governess was engaged by many of the keepers. Children of school age later received their education through correspondence. Location Lat. 30° 12.5' S. Long. 153° 16.1' E.
Access is only by helicopter with permission from National Parks. Tours of the lighthouse are conducted by Precision Helicopters on one or two weekends a year. 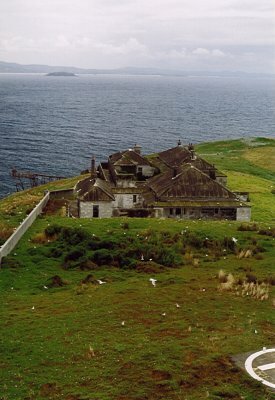 The Friends of South Solitary also conduct working bees on the island. Friends of South Solitary Island are pushing for a lighthouse museum to be established at Coffs Harbour.